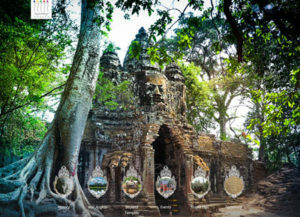 Apsara National Authority launched a new Angkor tourism website www.angkor.com.kh, last week, to improve and offer more accurate travel information on services as well as the background history of the World Heritage site. Agence Kampuchea Presse reported the authority was developing a new website that does not only provide detailed information of tourist sites under its management, but also encourages feedback from browsers. Apsara Authority deputy general director, Sok Sangvar, was quoted saying the online site would also serve as a platform to get feedback from visitors, on the quality of service. One of their top questions would probably focus on how Apsara spends its budget possibly touching on restoration and funds set aside to support the community and improve the quality of life for villagers. Much of the content of the new website was sourced from the tourist guide association and tour agencies. The website offers information such as the history of Angkor Wat, tour circuits, an interactive map, visitor code of conduct and detailed information on Angkor and its surrounding temples. There are also details about the museum, entry requirements, embassy contacts, Angkor Wat tips, key facts, ticket prices and entry times. The new website, currently in English, will be extended with other language versions. Starting 1 February, the new entrance fees at Angkor Historical Park are: one-day pass USD37, three-day pass USD62, and seven-day pass USD72. The number of foreign visitors to the World Heritage site rose 4.63% to 2.19 million last year. The top source markets were China, South Korea and the United States. Revenue from ticket sales to foreigners visiting the park reached a record USD62.5 million in 2016, representing a solid increase of 4.21% over 2015.